Like many ultra light gear junkies, I periodically review what gear I have in need of an upgrade. 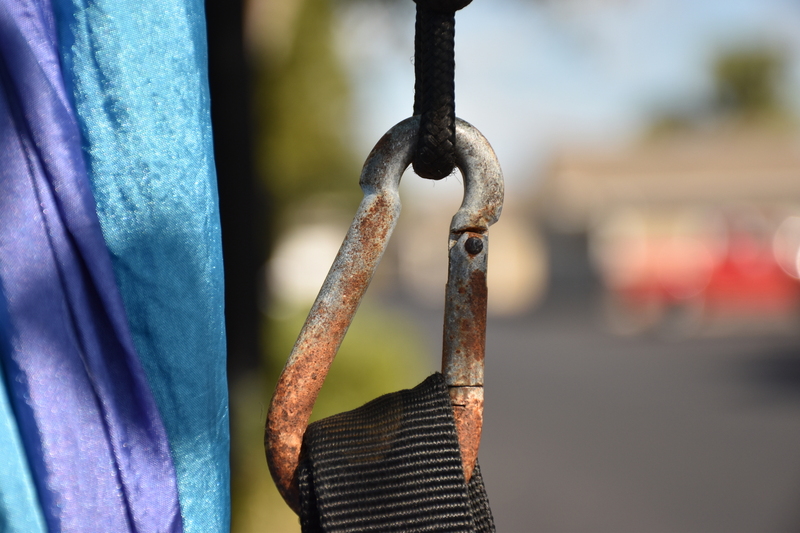 This session of gear pros and cons I knew it had to be my old and well used ENO SingleNest and its occompanying SlapStrap suspension The SingleNest served its purpose but destined to make its way to the backup gear pile. My first and pretty much only choice was an ENO Sub7 - Helios combination. This time I really didn't spend a forever researching when the I knew the Sub7 would be hard to beat in the ultralight hammock arena. I did find a contender, however. The Grand Trunk Nano 7 weighing in slightly more @ 7.8 ounces. 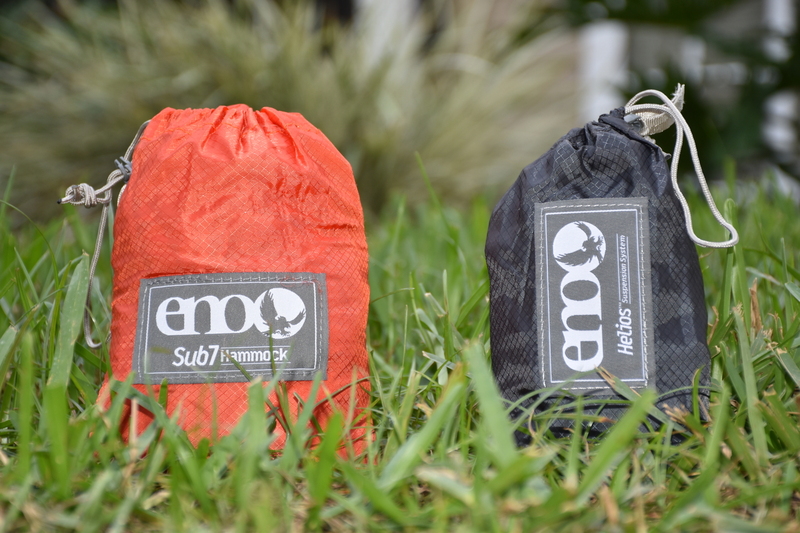 Since I was familiar with ENO brand and the Sub7 weighs less, I decided to go with the Sub7. Simple as that. I can't say I wouldn't buy a NANO 7 in the future and will keep then in mind. This time I opted for the lighter hammock setup. The Sub7 and Helios all packed and ready to go somewhere. 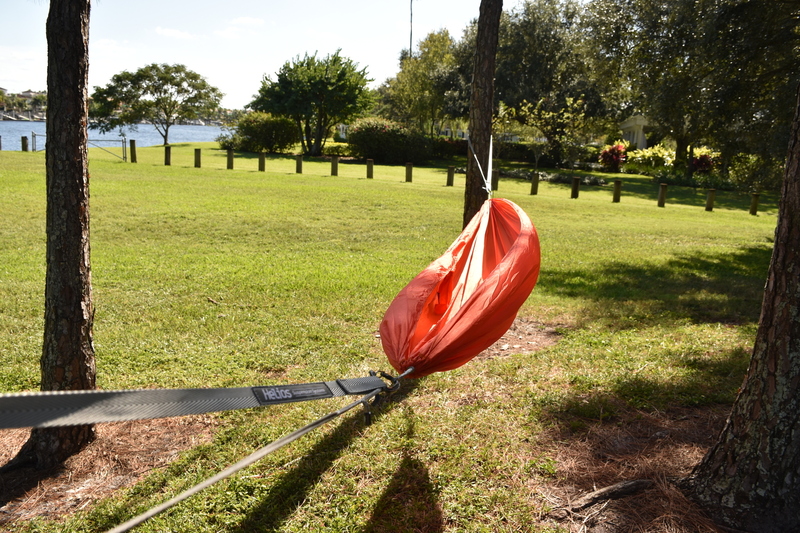 The decision was made so I headed down to Tampa Bay Outfitters and purchased the Sub7 / Helios combo. My initial impression was how much lighter the Sub7 felt vs. the SingleNest. I was kind of shocked. 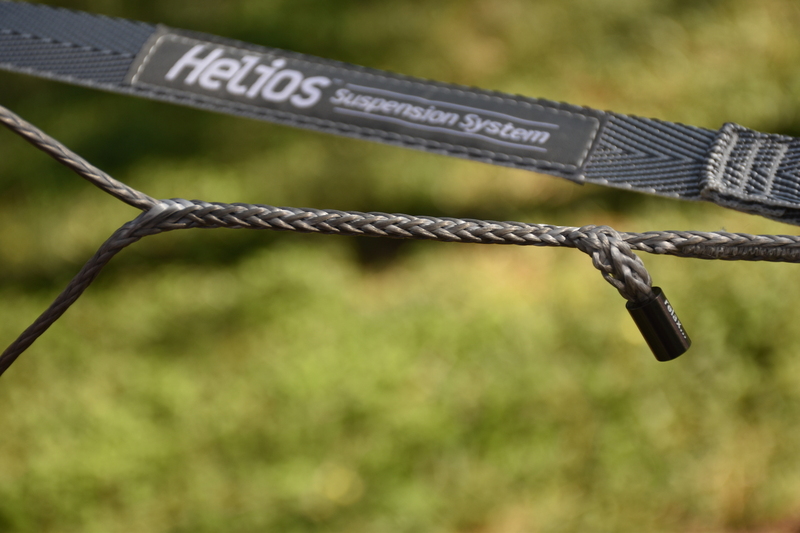 Combining the Sub7 with a Helios suspension weighs 17.4 Oz. or 62.1% lighter than the SingelNest with SlapStrap. 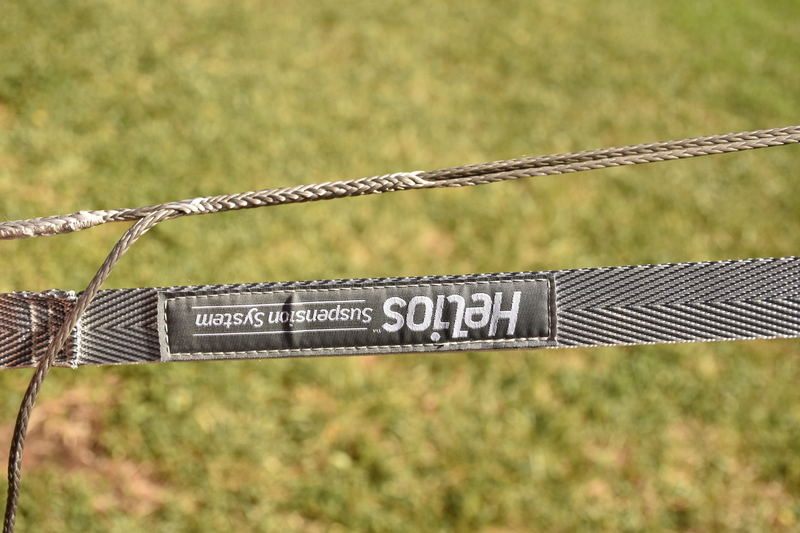 The whole system is actually lighter than the SlapStrap alone. That is a huge improvement especially when considering their hammocks are light to begin with. The weight savings come from material ( 70D Nylon Taffeta ), design changes and the use of less material in general and they managed this without sacrificing comfort ( certainly subjective ). Although the Sub7 is narrower and shorter than the SingleNest, I find it comfortable. I'm 5'8" @ 180Lbs and wouldn't care much if it was even more narrow. However, I read a user review from someone 5'9" @ 155Lbs stating that it isn't comfortable because "It's a little TOO small and lightweight." It is too lightweight? Maybe if you are 6'2" the 7" difference in length would be a concern, but for me, I don't need three feet of extra hammock other than to create a good sleeping angle. I wanted to mention an opposing viewpoint since the Sub7 is 7" shorter than the SingleNest and it is something to consider before buying. The weights I used for calculations including the Grand Trunk Nano 7 are provided in the table below. All specs were directly copied from the manufacturers websites. For the techno geeks and possibly a good idea, I'll include additional specifications. Length x Width 8'9" x 3'11"
Length x Width 8'2" x 1"
Lets take a look at some of the design that enabled ENO to get the Sub7 sub 7 ounces. 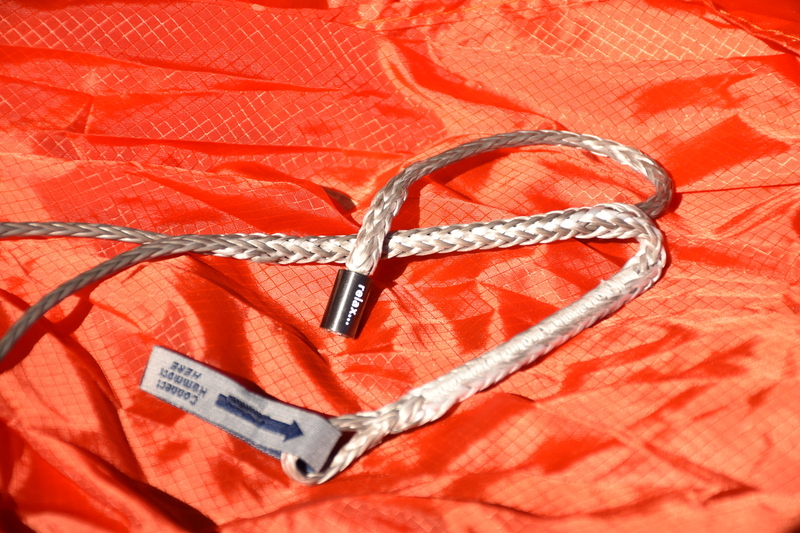 A whoopie sling - ENO's answer for how to make their hammock suspension lighter. Although the 'whoopie' design isn't new to the world, ENO's decision to to use it is a good idea. 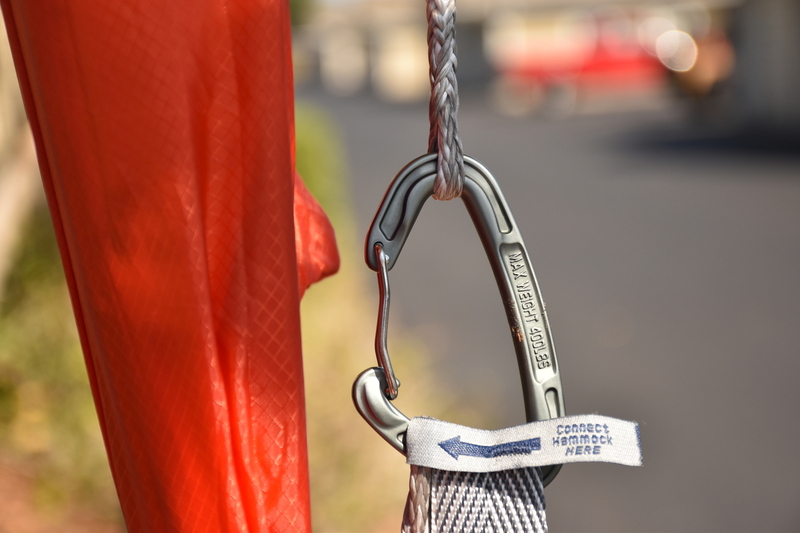 Sub7 carabiners are aluminum and larger than the old steel ones used in the SingleNest - Current specs show the SingleNest uses aluminum now. A few more beautiful photographs of Helios with load - a master at work. 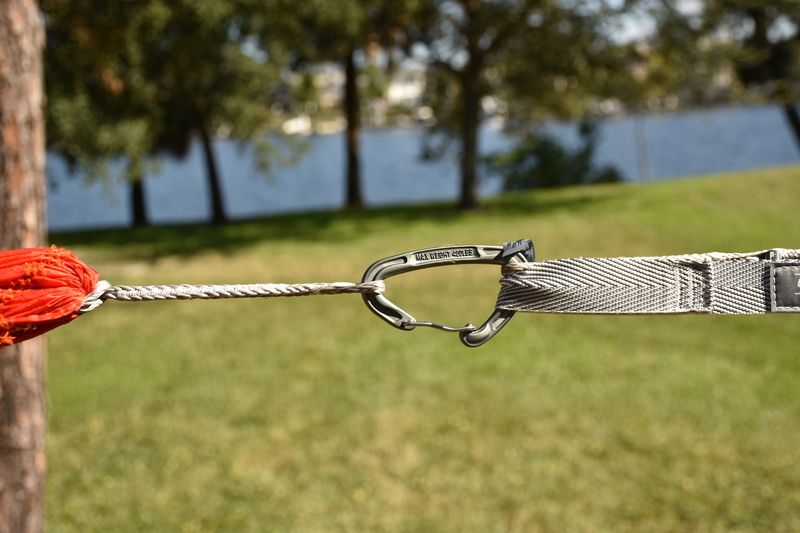 ENO's SlapStrap steel carabiner. 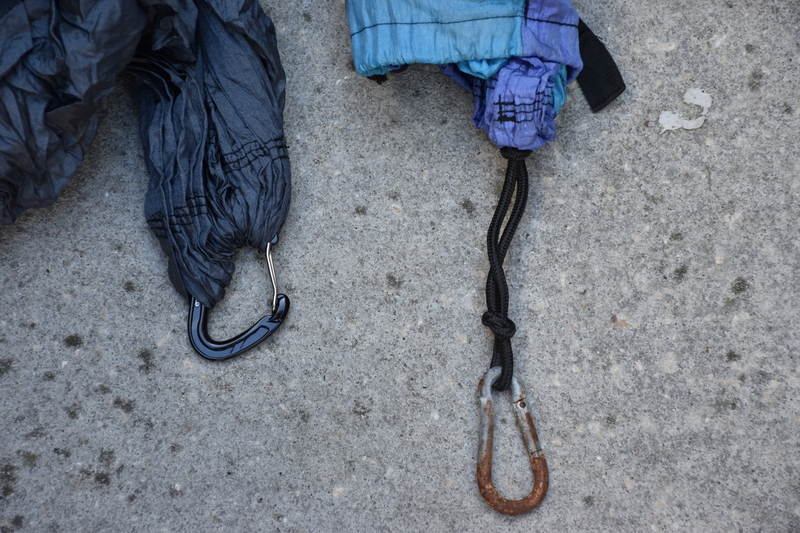 ⇓ A comparison of carabiners - you know which is which. who made who? The Sub7 set up and ready to party. 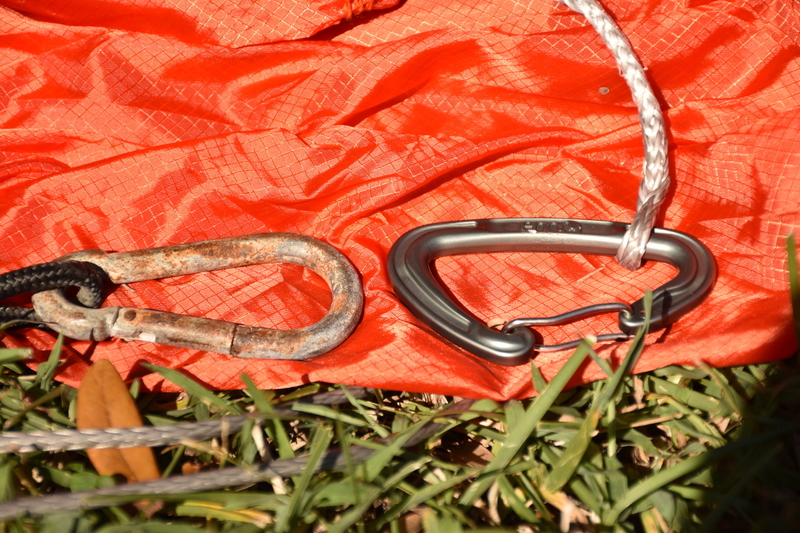 For the hell of it - A comparison of the Pronest's carabiner with the SingleNest's.